Our gentle giant, also raised and trained by us since he was 6 months old. 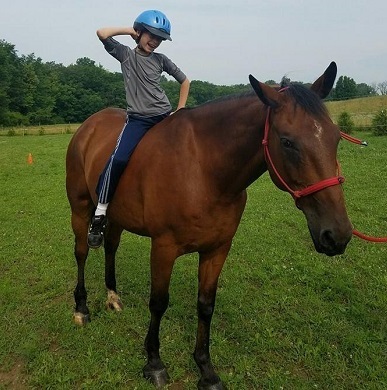 Unfortunately, he had a bad injury and is not used for trailrides or lessons. However, he may join us on the trails freely at any given time. We allow him to follow, without a rider or any ropes, and he is like a little kid, frolicking along creating an experience that most of our guests have never seen before. He loves to be a part and never lets us down. His teddy bear eyes melt most hearts.